Practising Law Institute is a non-profit continuing legal education organization chartered by the Regents of the University of the State of New York, founded in 1933. PLI is dedicated to providing the legal community and allied professionals with the most up-to-date, relevant information and techniques which are critical to the development of a professional, competitive edge. 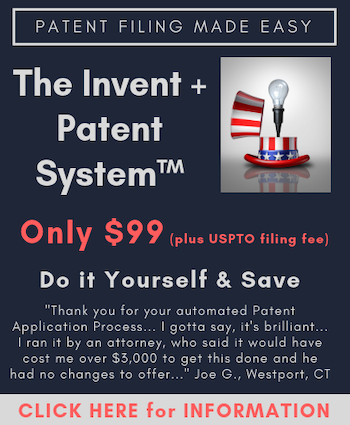 The PLI Patent Bar Review Course is the Nation’s #1 Patent Bar Review and is geared to one thing and one thing only – ensuring you pass the PTO Exam! All course materials are 100% Exam-Focused, and updated continually to all current USPTO rules tested on the Exam. Interactive testing software, Patware, leads the field in computer-based testing and closely tracks the computer-based Exam. MORE LIVE LOCATIONS than anyone else throughout the United States, and available in MORE HOMESTUDY FORMATS (CD-ROMs, DVDs & CDs). LexisNexis IP (formerly Reed Tech), A LexisNexis Company, has withstood the test of time, adapting to the latest technology and meeting the needs of its customers for nearly 50 years. As part of the LexisNexis® family, Reed Tech serves its clients in the public and private sectors with the expertise and capacity required in the technology-focused fields of content management and Intellectual Property services. Reed Tech offers a robust suite of services for all facets of information capture, transformation, management and distribution, including large volumes of technical documents, offering products and services that include Intellectual Property Solutions, Life Sciences, Website and Social Media Archiving and Content Managing Services (CMS). With continued work for organizations such as the Food and Drug Administration and the Patent & Trademark Office, Reed Tech is a recognized leader in content management services. CPA Global was founded in 1969 in Jersey, Channel Islands, and today employ over 2,000 IP people. Their heritage began in patent annuities, expanding into Asia and the US in the 1970s, and grew services to encompass trademarks in the 1980s. From 2000, the scope of thier offer has grown dramatically. They systematically acquired leading software, service and information companies to build a unique breadth and depth of capability, spanning the entire IP lifecycle and with an unrivaled network that circles the globe. In 2012, they were acquired by private equity firm Cinven. This heralded a new chapter in their development and has driven an accelerated growth strategy and strengthening of the business’ global footprint in mainland Europe, North America and Asia Pacific. It also saw four acquisitions in three years: Silicon Valley-based developer of IP electronic document management systems First To File in 2013; IP service provider Patrafee in the Nordics (together with its IP Forecaster budgeting tool) in 2014; leading international search brand Landon IP also in 2014; and market innovators in information and analytics, Innography in 2015. Anaqua is a privately-held company headquartered in Boston Massachusetts with offices across Europe and Asia. Their software and services help corporations and law firms gain a true competitive advantage from their intellectual property. Anaqua was founded over ten years ago when IP leaders from The Coca-Cola Company, Ford Motor Company, and British American Tobacco identified an important gap within enterprise software solutions. Managing IP with patchworks of commercial and homegrown systems left them with unreliable data that increased their costs and exposed them to risk. They took matters into their own hands by collaborating on a new web-based, unified system for intellectual property – a comprehensive software platform capable of managing and automating the full IP lifecycle of patents, trademarks, designs, trade secrets and contracts. That collaboration was the beginning of Anaqua – the world’s first web-based unified platform for intellectual property. Today, ANAQUA software is used by nearly a million IP executives, attorneys, paralegals and administrators in corporations and law firms all over the world. Many of the best known brands and most innovative products were conceptualized, evaluated, protected and monetized through the ANAQUA software platform. Enhance Product Development is a product design firm offering a full suite of services for inventors, entrepreneurs and start-ups. Enhance’s core competency is in industrial design, engineering and prototyping, marketing and licensing. Their innovative team has the creative vision and knowhow that is the difference that makes the difference. From complicated multi-phased projects to simple product concepts, their extensive background and capabilities create an environment where products flourish and achieve their potential. Having been involved in licensing for over a decade, Enhance has extensive experience with what licensees are looking for and have developed their design packages and method of establishing a license deal with one goal in mind: attracting a company to take your invention and pay you a royalty.